. استمتع بالخدمات الراقية والضيافة التي لا مثيل لها بهذا الفندق في بريسبان. لضمان راحة ضيوفه، يقدم الفندق الخدمات التالية: واي فاي مجاني في جميع الغرف, مكتب الاستقبال على مدار الساعة, تسجيل وصول/خروج سريع, تخزين الأمتعة, واي فاي في المناطق العامة . استمتع بوسائل الراحة الراقية في الغرف أثناء إقامتك هنا. بعض الغرف تتضمن اتصال لاسلكي بالإنترنت, اتصال لاسلكي بشبكة الإنترنت (مجاني), غرف لغير المدخنين, مكيف هواء, تدفئة لمساعدتك على استعادة طاقتك بعد يوم طويل. كما أن مجموعة الخدمات الواسعة الموجودة في الفندق لضمان راحتك تترك لك الكثير من الخيارات لقضاء وقتك أثناء فترة إقامتك. إن Metro Hotel Tower Mill هو مكان مثالي للمسافرين الذين يتطلعون إلى الراحة والاستجمام في بريسبان. 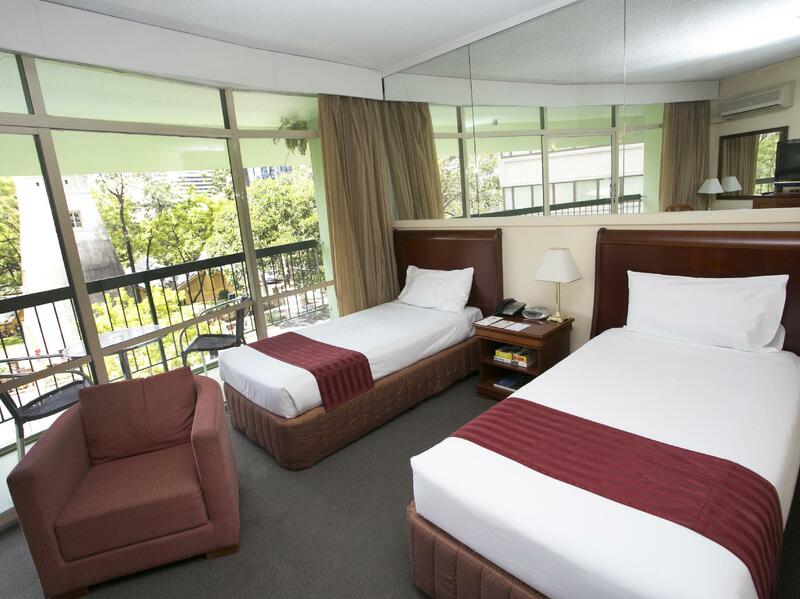 An ageing hotel that is clean and affordable right next to the CBD. Hi, the room was lovely but was small and very dated. It was a reasonable stay for the price and very close to the central station or short walk to queen street mall. The view was lovely and they had fox on the tv. The showers, decor etc are very old. In my case the balcony had an issue with a slow water leak from the aircon because the drain was clogged. That said, the staff/housekeeping cleaned the water every morning and were very fast to fix the situation until it could be permanently fixed. They made me feel important and valued when I raised the issue. The hotel located at the walking distance from the city center. In front of the hotel is a lovely park where you can sit back and relax. Although the hotel is a bit outdated, the room is clean with a balcony and the bed is so comfy. Definitely worth the money! I have stayed there before, ans do when I can, but the secret is out and sometimes they are fully booked. It's a quick walk to the city, has very little traffic, and they have reasonable parking. My choice when visiting the city. Currently going through change of ownership so there is some renovations taking place, but it remains quiet and clean. Staff were very friendly and helpful and the hotel is in a great location. Rooms could do with some updating. Not the cleanest of hotels and no attention was made to details. Broken coathangers left in the bottom of the wardrobe and full ashtray on balcony never cleaned. This place isn't bad and its in a good location. For business travellers and those on a small budget its the ideal place. I have stayed at the Tower Mill before. 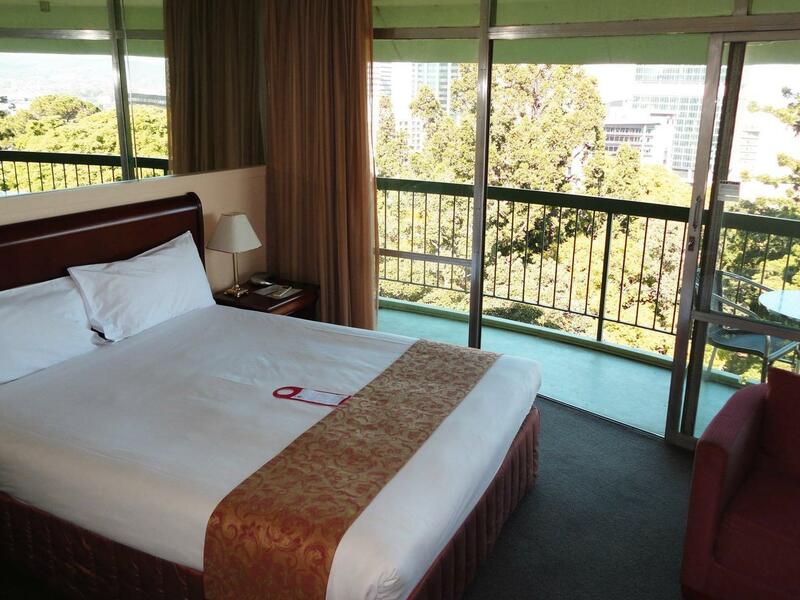 It is a short walk to Brisbane city center with all it offers. On this occasion I was seeing a medical specialist, who has an office on Wickham Tce not 100 meters away (there is a lot of them). There is a pathology service in the building to the right (when facing the Tower Mill) and the private hospital to the left has imaging services (x-ray, CT scans) and I was referred to both. The central location of the Tower Mill is very convenient. I also have stayed here on holiday and even stayed over night, such as before flying out or back from overseas. I can not fault it. The staff are also polite and attentive. Plus Plus. When in Brisbane this is my preferred location. It is so popular that I have been disappointed by 'no vacancy' a couple of times. Access to car park is a bonus but space is limited so make enquiries. Great if your seeing a specialist on Wickham Tce or just passing through Brisbane for a day or so. Walk into town shopping, food, movies. Don't have to walk straight uphill to get back (but can if you like), I prefer to follow the contours, little longer but these are not great distances. 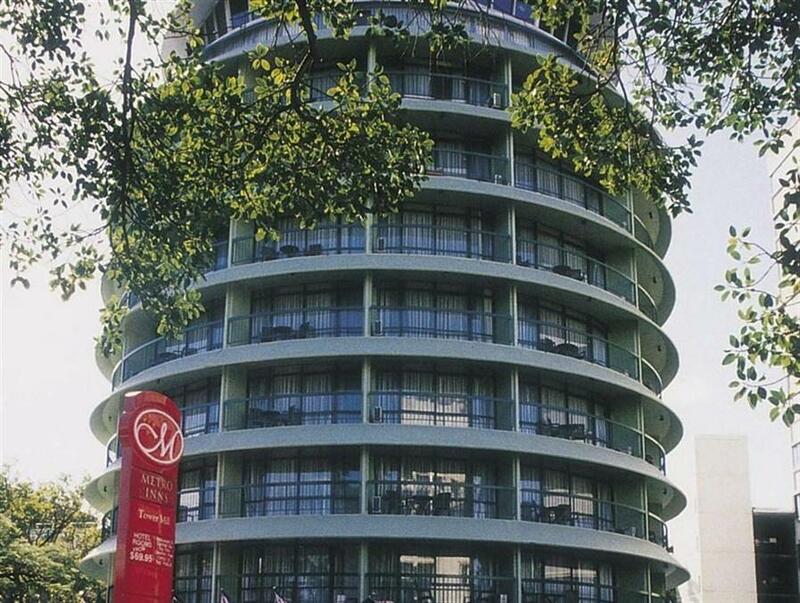 Most unusual building, a true cylinder which lends itself to oddly shaped rooms. All rooms on the outside so have outside verandas and sunlight although not ever rooms has a view. It is conveniently close to town with shopping, eats, movies, services etc. Walking back from town can either be straight up hill (bit of exersize there) but with a little planning and awareness can be done at leisure by traversing the slopes without adding to the distance too much. The staff are most attentive and helpful. Also they charge 15 Oz dollars a day to park for guests which is fantastic value! That may change in time but this was the cost in November 2016 so suggest you call ahead for availability (limited space) and cost. A few minutes walk from the city centre and very short walk to nearest cafes. Everything at close convenience. Staff were friendly and helpful. Room was very clean and the bed was very comfy. Metro Tower has it's own pub and restaurant so you don't have to go far for a meal, and a nice outdoor verandah to sit and watch the world go by. I stayed 2 nights at the hotel either end of a stay in another holiday apartment,for reasons of affordability and convenience to Roma St station to arrive and depart at very early hours of the morning.The staff were friendly and helpful,but the hotel itself,despite some in progress paintwork is in a very sad and sorry state.It needs complete gutting or demolition really.The worst shower I have ever had.But great views from my room and a balcony to sit out on and admire the views.I have stayed there many times over the years,with many happy memories,but its time for a full facelift,I,m afraid. 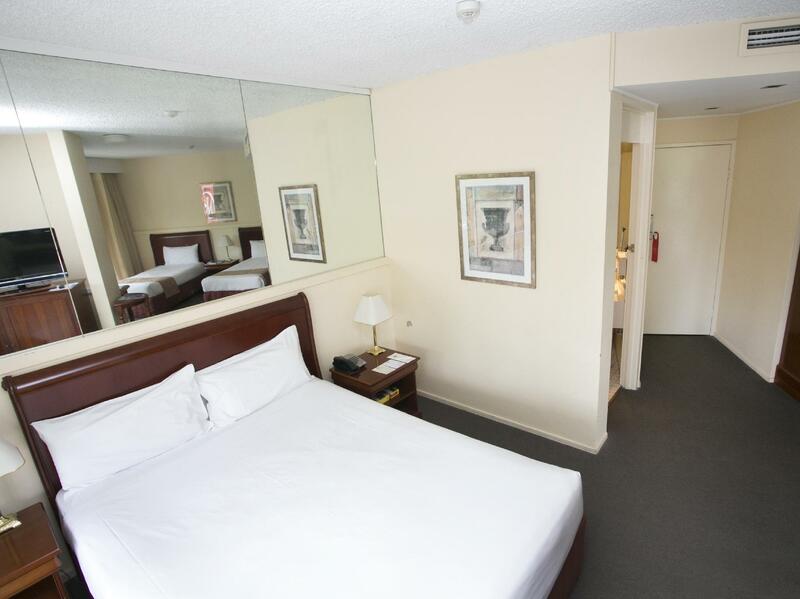 Located at the fringe of the city centre, it’s a short walk to Queen Street Mall. Hotel is rather old, including the furniture and fittings. Strangely, the hot-cold water mixer in the shower are installed outside the shower stall, making it cumbersome to adjust the water temperature esp in winter. Our family room was not exactly spacious but enough to put our big luggage. Biggest peeves are the seemingly lack of towels which the staff admitted (every day, we are missing either hand towel or bath mat)., and the rather rude and unhelpful female front desk staff. Also don’t like that there is almost no security: front desk staff are not always there, anyone can walk in and take the lift up (it’s only a tiny reception area between the lift and the hotel entrance), no lift security access to the rooms, and it’s only a narrow aisle from the lift to the rooms (our room in fact faces the lift, literally just a step away). No, we won’t be return guests for sure. I'm very upset about the room service throw away our meal to the bin. I'm not check out yet. Great Staff, room was fine however air-conditioning didn't work very well and only serviced one side of the room. Not really any facilities there to enjoy it with children. Better off finding somewhere else. The staff very good, Location good, Worth the money.